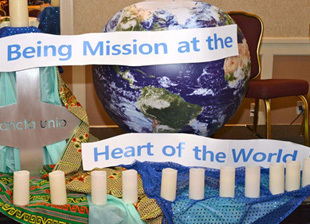 The United States Province of the Holy Union Sisters has taken a Corporate Stance Against Trafficking of Women and Children. Because of this, sisters participate in Anti-Trafficking efforts in Massachusetts, public Prayer Vigils, pray with special services on the theme of Human Trafficking. They participate in Call In Days by contacting their Senators and Congress persons about legislation benefiting victims of trafficking. 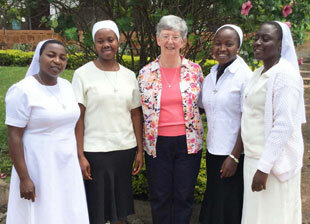 Holy Union Sisters have put decals with the U.S. Trafficking Hot line telephone number on the cars they drive. Below are suggestions for action as well as resources. – Learn about the local and global reality of human trafficking. – Pray for an end to human trafficking. 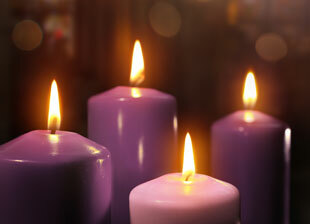 Join or start a monthly vigil on the 1st Sunday of the month. – Demand slave-free products. Buy fair trade when possible. – Advocate for state and federal legislation that protects victims and prevents human trafficking. U.S. Sisters Against Human Trafficking is a collaborative, faith-based national network that offers education, supports access to survivor services, and engages in advocacy in an effort to eradicate modern day slavery. UNANIMA International is a non-governmental organization (NGO) advocating on behalf of women and children, trafficked person, immigrants and refugees, and the environment. 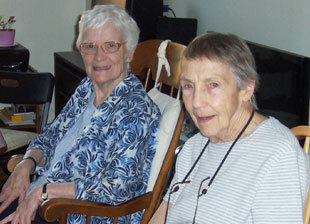 The Holy Union Sisters are one of the twenty one member congregations. The activities and projects of Talitha Kum are aimed at all those who are robbed of their dignity and deprived of liberty, regardless of their lifestyle, race, religion, economic or sexual orientation. The members of Talitha Kum living and bearing witness to Christian values, dialogue with and show respect for members of the different religious traditions and for non-believers. 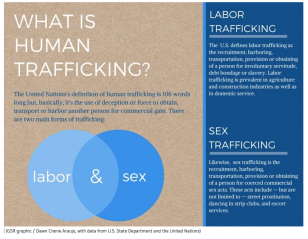 Polaris Project offers an overview of human trafficking and works toward long-term solutions. Slavery Footprint‘s website allows consumers to learn how their consumption habits may contribute to the demand for exploitative labor and to take steps to make ethical purchases by shopping for Fair Trade products. Fair Trade certification ensures that no child or slave labor contributed to the making of a product. Free the Slaves is a community-based model dedicated to alerting the world about slavery’s global comeback and to catalyzing a resurgence of the abolition movement.